DJ Hero Sports Original Mixes & The Likenesses Of Daft Punk. Hellz Yeah! We love the mixes and the attempt at doing something a little different but we really hate the price. 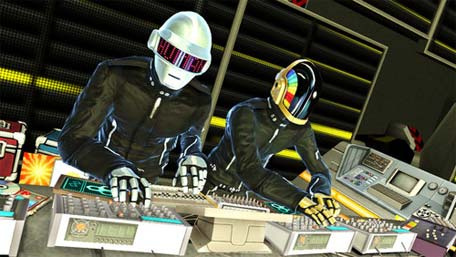 Alas, we've finally decided that DJ Hero is going to be the best thing since sliced bread, thanks to the inclusion (and input) of one of our favourite acts of all time — Daft Punk. The duo will be contributing 11 unique mixes to the game. Check out the trailer after the jump to see Daft Punk mashing up Queen's "We Will Rock You". Amazing.